According to a study released by leading travel website Expedia and conducted by Northstar in 2016, 66% of travellers around the world consider their smartphone the number one essential travel item. The smartphone is the Swiss army knife for the modern traveller, providing tools, information, communication and entertainment all in one convenient package. Whether you need a torch, a camera, a guidebook, a currency convertor, an emergency number or a good movie to watch, a smartphone has it all. Alas, not all smartphones are created equal, and they certainly aren’t all priced the same. Fortunately, even those of you with a small budget can get your hands on a great traveller’s smartphone that will make your trip far more enjoyable and easy. 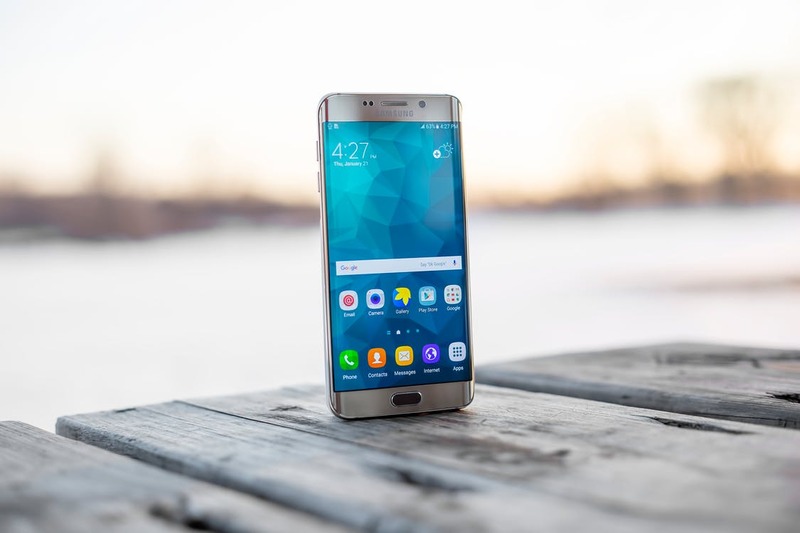 Here, we’ve found the three best smartphone options based upon how much you are willing to spend, though even the cheapest option will improve your vacation significantly. Even the cheapest smartphones are often superior to their basic predecessors. Sure, they won’t have top of the range cameras or flashy specifications, but you can certainly purchase a smartphone that serves its purpose for under £250 if you know what to look for. As smartphone aficionados are sure to know, Motorola often offer the best budget mobiles out there and have done for many years. Back in 2013, the company released the Moto G and has been at the forefront of cheaper smartphone technology ever since. Five generations later, the Moto G5 Plus remains a favourite amongst travellers. There is a standard model of course, but for just a little extra cash the Plus has a lot more to offer, with superior specifications that would usually appear on much more expensive models. Also, LTE support for the region where the device was purchased comes with every purchase and every model is water-resistant. The Plus comes equipped with a 12MP camera that is perfect for travellers who want to take a few memorable shots but aren’t necessarily bothered about sharing on social media. Photos taken outdoors are particularly impressive, though in low light they can be a little lacklustre. Fortunately, there is a HDR mode that solves many exposure related issues. As for battery life and charging efficiency, Motorola claims that their G5 Plus model comes with an “all-day battery”. That’s not really very specific, but we do know that since this model has a smaller screen than its predecessor (5.2” compared to 5.5”) we can assume it has a longer lifespan between charges. As long as you refrain from marathoning Netflix’s Stranger Things or playing games like Bubble Witch and Candy Crush for hours on end, there’s a good chance this phone will stay on for a decent amount of time. There are two options when it comes to capacities; 32GB and 64GB. The latter comes with 2GB extra of RAM, improving the phone’s overall performance. This may seem like the obvious choice, but bear in mind that both models come with a micro-SD slot that can take up to a 128GB card. For the traveller who is willing to spend a little extra money on their multi-purpose smartphone, there are plenty of options that sit nicely within the £250 to £350 range. Of course, this is a huge step up from the budget smartphones on offer and shows within each model. Cameras are better quality, storage should be at least 32GB and battery life should be reliable. The OnePlus 5 manages to accomplish all of this, despite being a relatively new brand on the market. The specifications are particularly astonishing, with a Snapdragon 835 processor and 6GB to 8GB of RAM. That’s way more power than the Motorola Moto G5 Plus, and while there’s no microSD slot there’s up to 128GB of storage available. There’s also a 3300Ah battery built in to each OnePlus 5 model, ensuring that it has one of the best batteries currently on the market. Whether you want to watch Hulu for a few hours at the airport, or indulge in a bit of iGaming by playing slots like Gonzo’s Quest and Starburst that would otherwise use up loads of battery life, the OnePlus 5 should keep chugging along. You could probably even get smug with it and look for entire box sets or free spins at sites like Oddschecker while you’re at it. In addition, the developers at OnePlus have created a unique power management system within their Dash charger, which somehow moves heat generated by heavy duty use or extreme weather conditions away from the handset. The Dash charger also charges the phone from 0% to 60% in just 30 minutes. With all this charging power, you will probably never need to stop taking pictures, which is an alright experience with the wide-angle 16MP/f1.7, 16MP front camera and 20MP telephoto lenses on the OnePlus 5. While this is impressive, it doesn’t quite match up in quality with higher budget smartphones, but photos taken with the OnePlus 5 are perfectly fine. There’s also a fingerprint scanner, NFC and dual SIM slots, which is fantastic for travellers. Ultimately, the OnePlus 5 is by far one of the better options when it comes to mid-range models, and since it’s so traveller friendly it should be perfect for you. Now we’re looking for the best of the best, the smartphones that sit neatly within the premium category with the most advanced designs, specifications and cameras. They are reliable, quick and have more extra features than you can shake a Flappy Bird at. Considering how great cheaper models have become over the last few years, these luxury smartphones must be superior in every way. Ladies and gentlemen of the world, we give you the Samsung Galaxy S8. Just looking at it you can see how much craftsmanship has gone into the handset, with its infinity display that makes every other smartphone out there look ancient and dull. However, this smartphone doesn’t just get its reputation from its looks. The Samsung Galaxy S8 is amazingly fast, thanks to 4GB of RAM and a processor unlike any other. Gone are the days of loading screens and waiting while switching apps, this Samsung model makes everything instantaneous and easy. There’s also 64GB of storage, which is crucial for more upmarket smartphones these days as there are so many apps to download and photos to store. As if that wasn’t impressive enough there’s even a microSD slot that can take up to 256GB cards, ensuring that you’ll never need to worry about smartphone storage ever again. You photographers out there may want to consider this, as we can almost guarantee you’ll be taking more photos than ever on this phone. Whether you’re outdoors, taking photos of food or taking some low light shots, they’ll all look fantastic due to improved colour saturation and white balance technology. The rear camera may have the same 12MP sensor as its predecessor, but it comes with a f1.7 lens as well as larger pixels, so it can handle pretty much anything. The front camera has received an upgrade though, as it is now an 8MP with auto-focus. As for the rest of the model, water and dust resistance still come as standard, so even adventurous travellers can use this model without worry. The infinity screen is unlike anything else on the market, creating a far more immersive user experience. We can almost guarantee that you’ll be on this phone most of the time, you just won’t be able to resist. This is why its great that the Samsung Galaxy S8 has such a great battery. It’s the same 3000mAh from the S7, but the South Korean company has promised longer lifespans. So hopefully this smartphone’s battery won’t deteriorate after six months like many of its competitors do. There a USB-C port that enables fast charging, so as long as you use the specific phone charger the model comes with you’ll be able to charge up in just 30 minutes. There you have it: the best three smartphones a traveller can buy depending on their budget. Let us know which phone you’d pick in the comments below, and share any smartphone models you think may be superior to the ones we’ve chosen.